Another article, on Womensenews stating that abortionsuicide connection fails a court test. What always amazes me about this stuff is that they quote the APA whose research was done by pro abort Brenda Majors PhD. They never reach out to those of us who are saying abortion hurt us and caused psychological problems...they just continue to deny our experiences. "What's happened is that the anti-abortion movement has found people to put out methodologically flawed studies that allege that there is a problem with mental health after having an abortion," said Jessica Arons, director of the Women's Health and Rights Program at the Center for American Progress, a progressive think tank based in Washington, D.C. So, they think these are fake studies? Why not call us directly or do a study including us? I wrote a comment to this article but received this :"Your comment has been queued for moderation by site administrators and will be published after approval." Let's see if they print it. An appeals court struck a suicide advisory from a South Dakota abortion law, underscoring decades of research finding no link between the procedure and mental health disorders. But the idea of psychological harm remains active in several states. (WOMENSENEWS)--The appeal of South Dakota's 2005 "informed consent" law on abortion gave pro-choice advocates a sliver of victory earlier this month. A doctor is still required to tell a woman that an abortion "ends a human life" 24 hours ahead of the procedure, to give her time to reconsider. The court upheld that essential part of the script citing a previous ruling on First Amendment freedom of speech grounds. But the Eighth Circuit Court of Appeals in St. Louis said a section requiring doctors to describe "all known medical risks" of abortion -- including an increased risk "of suicide ideation and suicide"-- must be removed. That frees doctors to use professional judgment when informing patients of the potential risks. Posted: 9/30/2011 During the month of October, the Church celebrates "Respect Life Month." 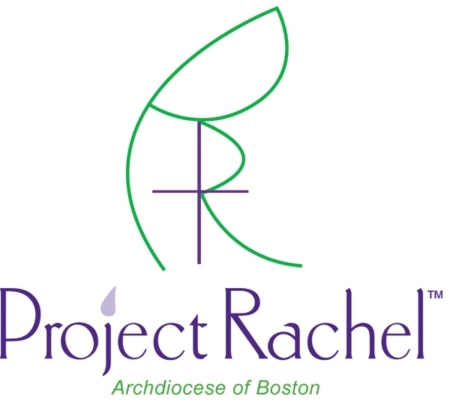 Beginning this week, The Pilot will present a series of five reflections offered by women who have found healing from the pain of abortion through the post-abortion ministry, Project Rachel. These women have offered to write about their experiences in hope that other women and men who are living in the often secret pain of abortion will come to know the same peace and healing of God's divine and tender mercy. Due to the nature of the subject, the names of the authors have been withheld. New statistics released by the U.S. Food and Drug Administration (FDA) show that women who use the abortion pill, RU-486, are in danger. The Family Research Council (FRC) worked this summer to pressure the FDA to release of the latest figures on deaths and serious side effects from the abortion pill. Those records, released in mid-July, show that of the 1.52 million women who used the drug through the end of April 2011, 14 women died, and 2,207 experienced adverse effects. But FRC's Jeanne Monahan says that is probably not all. "We think that the deaths are probably pretty accurate, because it's hard to get around reporting a death," she notes. "But, it is possible that in terms of the hospitalization, the infections, etcetera, I think even the FDA estimates that only about a tenth of adverse events are actually reported to them." That includes significant blood loss and infections, some of which are severe and require hospitalization. Also, in many cases, those who dispense the drug do not follow FDA recommendations. "Planned Parenthood routinely gives out the drug at a much lower dose -- like a third of the dose," Monahan reports. "Another off-label use is using it past the amount of time that the FDA has approved it for. So, they've approved it for 49 days, [but] Planned Parenthood clinics routinely give this up to 63 days of a baby's development. So that becomes problematic." That means women are in danger. So Monahan wants to remind people that "abortion is a deeply invasive procedure, and that the abortion pill in particular is very hard on women, in some cases resulting in death." against the wickedness and snares of the devil. May God rebuke him, we humbly pray; and do you, O Prince of the heavenly host, by the power of God cast into hell Satan and all the evil spirits who wander through the world seeking the ruin of souls. Amen. Abortion kills, always the baby and sometimes the mother..here are two web sites...one was begun by the parents of Stacy Zallie who comitted suicide after suffering from a past abortion. Her family did not know about the abortion until after her death. Tthe other was launched this month by the family of Holly Patterson who died from supposedly "safe & legal" Mifepristone aboriton. In spite of the women who have died either as a direct result of abortion or the desperation they feel after, in spite of the fact that we are told over and over there is no such thing as post abortion trauma, abortion is still projected as safe and legal, but our lives say differently. We wanted to let you know that my husband, Tom, and I will be the featured guests on the Thursday and Friday, September 29 and 30, 2011, broadcast on “Family Talk with Dr. James Dobson.” This two part show, "Putting an Arm Around the Post-Abortive Woman I-II," will be a blessing to your heart as it outlines the work of pregnancy centers and the hope of God’s healing after abortion. There are several ways that you can listen to this broadcast. Visit familytalk.org to either listen to the show on-line or discover the radio station in your area that offers Dr. Dobson’s new ministry program. We covet your prayers as we respond to the wounded individuals who seek out God’s healing after abortion. I have also written many new blogs on various topics related to abortion recovery. Our short healing videos are also available on this blog site that can be used by individual abortion recovery groups. Visit Sydna's Blog at: http://www.ramahinternational.org/blog. We have one seminar planned for next month outside of Harrisonburg, PA. I leave you with my prayers on your behalf and encouragement from Luke 10:21, "I praise you,Father, Lord of heaven and earth, because you have ahidden these things from the wise and learned, and revealed them to little children. Yes, Father, for this was your good pleasure." May God continue to bless you in all areas of your life! Thank you to Grey's Anatomy for daring to speak the A-word (abortion) in its two hour season premiere. In the episode, skilled hospital resident Cristina Yang (played by Sandra Oh) declares, in the clearest of terms, that she does not want to be a mother; she does not want children; she wants her career as a surgeon; and she wants to have an abortion. Today, in 2011, long after abortion has been legalized, long after discrimination against women in many arenas became illegal, long after calls to end gender stereotyping, the Grey's Anatomy episode is — sadly — radical stuff. In it, the word abortion could be spoken. A woman could want one. And perhaps most remarkable, a woman could want a life without children. We don't today, as a culture, send the message that that's okay. We at the ACLU, can and do, challenge the laws that further restrict and stigmatize abortion — laws that require women seeking abortions to go to an anti-abortion group for counseling; laws that stigmatize abortion by banning it from insurance plans; and laws that punish charitable organizations like domestic violence shelters for even referring for abortion services. To quote a section in the article, "In it, the word abortion could be spoken. A woman could want one. And perhaps most remarkable, a woman could want a life without children. We don't today, as a culture, send the message that that's okay." No one is arguing the fact that a woman may want an abortion, or a life without children. I may want a lot of things, but that does not make them all acceptable. You can want a life without children, but, it is not ok to kill a child once it has been conceived. "Today, when it comes to abortion, women are judged, not heard. There is little room in the debate for our dreams and our needs — our need to care for existing children, our dream of the life we could give our child, our goal to finish school, a need to repair a marriage. There is no room for our visions of our lives. Cristina, on Grey's Anatomy, opens some space, by giving voice to her needs and hopes." Her needs and hopes??? The fact that the ACLU thinks a fictional character will provide an opening to change the culture may seem like a positive to them, but I wonder how they would feel about a show where thousands of us who are post abortive and share the damage it has caused in our lives, the lies we were told, the dreeams shattered, the needs umet by those who would pressure abortion etc etc Would that be as much of a positive opening to them? Never. Over and over we see attempts to destigmatize abortion, as if it is just a perception that brings stigma. Abortion is not a perception, it is the taking of life. I pray we never destigmatize abortion just like I would pray it would not happen if a mother decided to kill her two year old, or any of her other children. It is a slippery slope which can esculate very quickly to life being totally disposable. We are already traveling that road. Abortion has a stigma because it takes the life of an innocent unborn child...period. God help us if the stigma for that disappears and it becomes a commonly accepted event. Then we will not be worried about "needs and hopes", we will be fighting for our very existence. Below is a petition to U.S. Representatives Chris Smith (NJ-04) and Dan Lipinski (IL-. 03), Co-Chairs of the Bipartisan Congressional Pro-life Caucus, asking for congressional hearings on the issue of abortion and mental health. Please sign this petition and share the link to this page with your friends, family and colleagues. We will follow up with an email keeping you up to date on this effort and with phone numbers and email addresses you can use to help us succeed in this effort. Twenty-two years ago, Surgeon General Koop recommended a national longitudinal study of abortion’s effects on women’s psychological and physical health. That study was never done. In early September of this year, the British Journal of Psychiatry, the official journal of the Royal College of Psychiatrists, published a review of the literature including a meta-analysis of 22 studies including nearly 900,000 women. It revealed that women who had abortions 81 percent more likely to experience mental health problems compared to all other control groups, and 55 percent more likely to have problems compared to women who delivered an unplanned or unwanted pregnancy. Another recent literature review, by the American Psychiatric Association identified at least 15 risk factors which identify which women are more susceptibility to more mental health problems after an abortion. These include feeling pressured to abort, a history of already having had one or more abortions, ambivalence about the abortion decision, having a pregnancy that is wanted or meaningful, prior mental health problems and more. But Planned Parenthood and other groups receiving federal funds oppose screening abortion patients for these known risk factors. Moreover, they continue to tell both patients and the public that abortion poses no mental health risks for women.